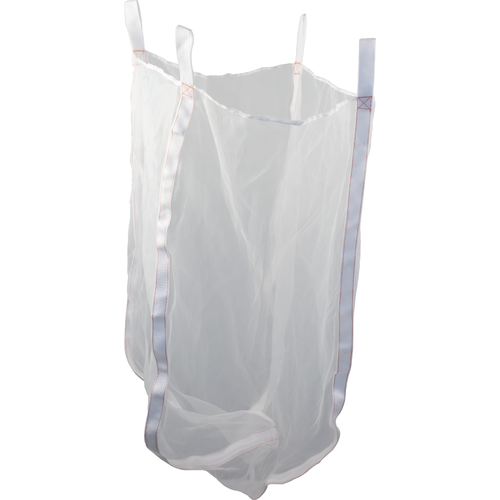 Perfect for Brew in a Bag, this large 27.5" x 32.5" bag will fit pots up to 19" in diameter. These polyester bags have 1-inch wide nylon sewn over the seams, making them incredibly strong and resilient. At the opening of the bag the nylon forms 4 loops, making great handholds when lifting the bag or attaching to a winch system for large BIAB batches. 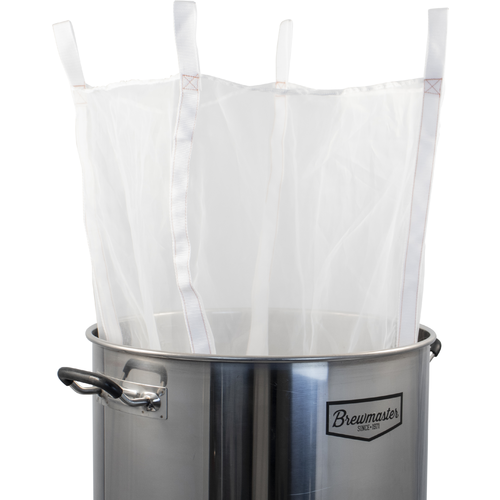 Every mash tun can benefit from a brew bag filter. No stuck sparges ever. Great grain filter. I use with a false bottom. Works great for clear wort and no need for rice hulls. My current one is ripped. 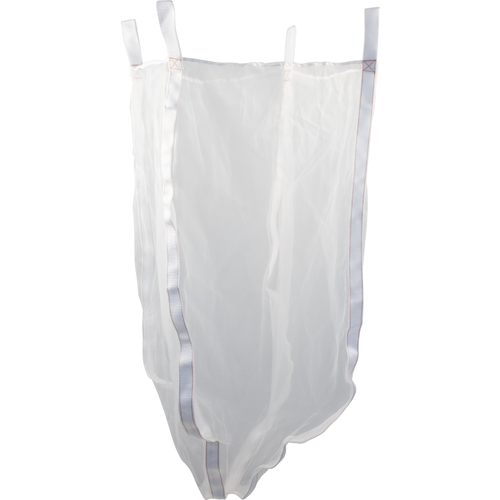 Need a large bag to use in my mash tun. Tired of having to clean out all the small pieces of grain after each use. I like the reinforced seams. Can use a hook with my hoist. Is this bag the right size for a keggle BIAB set-up? BEST ANSWER: Yes, it's plenty big with room to spare. My other well-known bag is 16 x 23 and has a decent amount of extra slack. So you will likely need to manage the extra bag length on this one but it will certainly fit. I bought this bag in my first order from Morebeer but it doesn’t fit my 19.7” diameter kettle. Did I receive the wrong bag and will this actually fit kettles up to 21.5” in diameter? BEST ANSWER: Hi Brandon - After physically checking the bag in our warehouse, it is definitely the correct bag we have sent. Unfortunately though, I did a little test and it barely fits a 18.5" diameter kettle. So that is a mistake on our part which I have contacted our product team to get that description changed. I will continue our correspondence through email. Apologies for the inconveniences that have been experienced. Will this burn on an element at 160F? BEST ANSWER: Hi Joshua - This should not be an issue, as nylon has a melting point of 428°F. You could use a false bottom (maybe a large pan lid) to keep the bag from touching the bottom of the boil pot. This bag is HUGE! *Slaps Mesh Grain Bag* "You can fit so much grains in this bad boy"